Elvis Presley is going to receive the Presidential Medal of Freedom in 2018. I am noticing a troubling trend bubbling up again and I have felt a great urge to opine on this topic myself! In an atmosphere that continually targets Elvis, and downplays his accomplishments, I found it so refreshing to read two articles that unapologetically defend his legacy. If you are like me, and find yourself getting upset upon hearing all the attacks on Elvis, I suggest you read these articles! They will reaffirm everything that you already know, that Elvis was NOT a racist. Nothing could be farther from the truth. This topic was also brought up a few years ago when historians began looking at Elvis’s influence on pop culture. I remember seeing an interview with B.B. King, who busted that notion apart. I’d like to leave you with a few quotes from the man himself as he talked about his career, and friendship with Elvis. FROM JACK DENNIS’ (San Antonio Examiner) INTERVIEW WITH BB KING in 2010: ‘Let me tell you the definitive truth about Elvis Presley and racism’, The King of the Blues, B.B. King said in 2010. ‘With Elvis, there was not a single drop of racism in that man. And when I say that, believe me I should know’. King does remember when he first met the young Presley, it was obvious how respectful and comfortable he was around bluesmen. King, in his 1996 autobiography, said Presley ‘was different. He was friendly. I remember Elvis distinctly because he was handsome, quiet and polite to a fault. Spoke with this thick molasses southern accent, and always called me ‘sir’. I liked that’ ‘All of our (Presley’s and King’s) influences had something in common’, King explained. ‘We were born poor in Mississippi, went through poor childhoods and we learned and earned our way through music. You see, I talked with Elvis about music early on, and I know one of the big things in heart was this: Music is owned by the whole universe. It isn’t exclusive to the black man or the white man or any other color. It shared in and by our souls’. ‘I told Elvis once, and he told me he remembered I told him this, is that music is like water’, King pointed out. ‘Water is for every living person and every living thing’. King raised his finger up as if Elvis was still in front of him, and profoundly declared, ‘Water from the white fountain don’t taste any better than from the black fountain. We just need to share it, that’s all. You see, Elvis knew this and I know this’. ‘Many people make the mistake of being wrong about all of this’, King continued. ‘If you ask anyone, I’m talking about people from all kinds of music – Blues, Soul, Country, Gospel, whatever – and if they are honest with you and have been around long enough to know—they’ll thank Elvis for his contributions. He opened many doors and by all his actions, not just his words, he showed his love for all people’. ‘People today will say things about Elvis they just don’t know about’, King commented. ‘They want to say this is black music, this is white music, this is country music. But when Elvis came along all that was suddenly washed down the drain’. ‘Back in ’72, Elvis helped me get a good gig at the Hilton Hotel while he was playing in the big theater’, King acknowledged in 2010. ‘He put in a call for me and I worked in the lounge to standing room only. Elvis fans came in different colors but their love of good music was all the same. They were always a good audience’. ‘Many nights I’d go upstairs after we finished our sets and go up to his suite’, King confessed. ‘I’d play Lucille (his guitar) and sing with Elvis, or we’d take turns. It was his way of relaxing’. ‘I’ll tell you a secret’, King winked and laughed. ‘We were the original Blues Brothers because that man knew more blues songs that most in the business – and after some nights it felt like we sang everyone one of them. But my point is, that when we were hanging out in the Hilton in the 70s, Elvis had not lost his respect, his ‘yes sir,’ his love for all fields of music. And I liked that’. 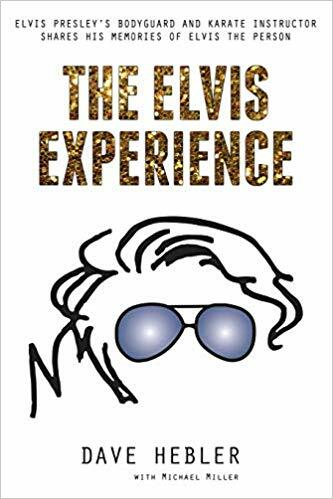 In his autobiography, King said he held no grudges because ‘Elvis didn’t steal any music from anyone. He just had his own interpretation of the music he’d grown up on, same is true for everyone. I think Elvis had integrity’. ‘If anyone says Elvis Presley was a racist’, charged B.B. King in the 2010 interview. ‘Then they don’t know a thing about Elvis Presley or music history. Recently the Washington Post presented an article about Elvis being a racist, and that recognition of him reminds people of segregation. I found this article in ‘The Weekly Standard, and believe it to be much more in line with the truth! We also recommend this article in the New York Times: How Did Elvis Get Turned Into a Racist? written by Peter Guralnick.